What is the legal alcohol limit for drivers? The breath test is 35 micrograms of alcohol per 100ml of breath, and 80mg per 100ml of blood if you are having a blood test. The urine test limit is 107mg per 100ml of urine. What are the consequences of drink driving? It can range from 3-6 months imprisonment, an unlimited fine, a 1 year driving ban (up to 10 years if you’ve been previously convicted), and an extended driving test if your license is returned. You could also lose your job if you need driving for work, and you may also find it hard to seek employment in the future. Car insurance costs will also increase dramatically if you have a past of drink driving. Can you be sent to prison for drink driving? Yes. 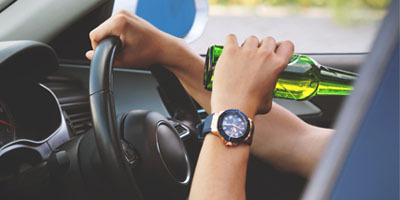 You can face a custodial sentence and time in prison, which are usually only imposed in serious cases – such as a driver being found three times over the legal alcohol intake. What happens if I refuse to give a sample if pulled over by the police? Refusing to give a sample to the police carries the same sentence as a conviction for drink driving. This can be a mandatory 12 month ban from driving. This is if you fail to provide a sample without reasonable excuse, however if there is a genuine reason then it can be used as a defence. Are there any exceptions for driving over the alcohol limit? There are no exceptions for driving over the limit. However, if you think your drink was spiked and you have proof of this, the magistrate will take this into account. Another Special Reason is if you have to drive because of a genuine emergency. What if my license gets taken away but I need it for work-related purposes? Needing a driving license for work-related purposes is not seen by the law as reason enough for you to avoid being given a driving ban. If you are unsure if you are over the limit, it is best to take a taxi or public transport home, being unsure is not worth the risk. However, if you do find yourself worried about how to defend yourself with drink driving allegations, speak to a Mann & Co expert to receive help and support. Mann & Co. Solicitors is an established legal practice based in the West Midlands and has been serving the local community and beyond since the early 1990’s.